The Science and Society Sub-Committee is responsible for fostering and encouraging activities in connection with Science, Technology and Maths education, Public affairs and international matters. We provide leadership and encouragement to members taking action on National and County Mandates and Campaigns. We work closely with NFWI and other campaigning and public service organisations. Open to all WI Members! NFWI-Wales has launched a new Calligraphy or Word Art competition for members to enter as part of its Not in my Name campaign. Established in 2012, Not in my Name aims to end Violence Against Women (VAW) by raising awareness and recruiting male ambassadors to make a pledge never to commit, condone or remain silent about VAW. As an outcome of our very successful Modern Day Slavery conference, please note the numbers here which you can use to report suspected slavery in your area. Do not intervene yourself: use a Helpline number, or dial 999 or 101 for a crime in progress. "Mental health matters as much as physical health. The NFWI urges all WI members to recognise the importance of parity between mental health and physical health, and take action to make it as acceptable to talk about mental health issues as much as physical health issues, and to lobby government for better support for mental illness." The Science and Society Sub-Committee recently met with Healthwatch Bucks to investigate ways in which we could work together on this and other Mandates on Health and Social Care. Healthwatch Bucks is an independent organisation that gives you a voice. They exist to ensure that people's needs are at the heart of health and social care. Healthwatch Bucks will listen to your views and share them with those with the power to make local services better. World Mental Health Day 2018 postcard action On World Mental Health Day (10 October) we launched a postcard action to encourage healthcare professionals to ask people about their mental and physical health. This is based on research that suggests people with mental health needs often feel a lack of attention has been paid to their physical health, while others with physical health needs report the opposite effect. We know this won’t be possible in all instances as healthcare professionals work in pressured time slots. However, where feasible, simply asking someone "How is life?" can encourage them to start talking about their mental health. Our postcard is designed as a reminder of this. To find out how to take part, please visit My WI. "Microplastic fibres are shed from synthetic clothing with every wash and are the main contributors to microplastic contamination of the oceans. The NFWI calls on Government and industry to research and develop innovative solutions to this problem in order to stop the accumulation of microplastic fibres in our oceans"
Join our postcard action to push clothing brands to tackle microplastic pollution. The NFWI is calling for solutions from Government and industry to tackle the problem of microplastic fibres from entering the marine environment (released when synthetic clothing is washed). We are calling for engagement from retailers to recognise the role their businesses play in polluting the environment. We are also asking them to join current industry efforts to ensure it is a part of their sustainability agenda. The microfiber consortium represents clothing brands who have come together to address and align on the emerging need for a better understanding of microplastic fibre pollution. Members of the Consortium include M&S, Primark, The North Face, Next and ASOS. For the full list of members please click here. Clothing brands who have yet to join the Consortium include; Debenhams, Tesco, Karen Millen, H&M, The Arcadia Group (Topshop, Miss Selfridge and Dorothy Perkins), New Look and many more. We want to highlight the breadth of WI members who would like to see action on this issue; retailers will only listen if you show them you care! Use the NFWI’s postcard and write to a clothing retailer, asking them what they are doing to tackle the issue of microplastic fibres. Please ensure that it is directed at a national retailer. Send the card back to NFWI to collate. concerned about this issue and ask them what they are doing about it. Multiple copies of the postcard can be ordered from the NFWI. You can email us atpa@nfwi.org.uk or call us on 020 7371 9300 ext. 238. Microplastic fibres are small plastic fragments shed from synthetic clothes every time we wash. They slip through washing machine filters, pass through water treatment filters and end up in the sea and wider environment. At the Annual Meeting in June 2017, delegates voted 98.9% in support of the NFWI’s resolution on Plastic Soup. Our Wash and Wear Well checklist outlines small ways you can make a difference in your own life. To find out more, download the checklist. Read the WI’s new report! The WI has launched In a Spin, a report exploring the contribution of our laundry habits to plastic pollution in the oceans and wider environment. Download the report. For more ideas and resources to get involved with your WI – including our retailer postcard action – visit My WI. The issue of microplastic fibres is complex and involves a wide range of stakeholders, from the clothing industry to the waste water treatment industry and washing machine manufacturers. PhD student at Plymouth University Imogen Napper answered some of your most frequently asked questions about the issue. Download the answers here! Download our action pack to find out more. In line with the 'Food Matters' resolution passed at the 2016 annual meeting, which calls on the WI to work to tackle the issue of food poverty, Members were encouraged to send the letter below to their MP. At present the Government does not have a strong annual measure of how many people are affected by food poverty/insecurity. Measuring the problem would be a major step towards recognising the issue and developing solutions, and the NFWI believes that it is high time that robust annual government-led measurement of food insecurity is brought in across the UK. The WI is supporting the 'Food Insecurity Bill' currently going through Parliament, which would bring this into law. So far more than 150 MPs from across the political spectrum have indicated their support for this Bill, but we need more for it to have a chance of becoming law. "This meeting calls on every WI and the NFWI to work alongside health and social care providers and their local communities to raise awareness of the causes and impacts of loneliness, thus ensuring better identification of lonely people in order to be able to offer them the appropriate support and assistance"
At the annual Meeting in June 2017, delegates voted in support of the NFWI’s resolution to ‘alleviate loneliness’ which aims to ensure that people who are lonely, or at risk of loneliness, are identified at the earliest possible opportunity and have access to the support and assistance they need. 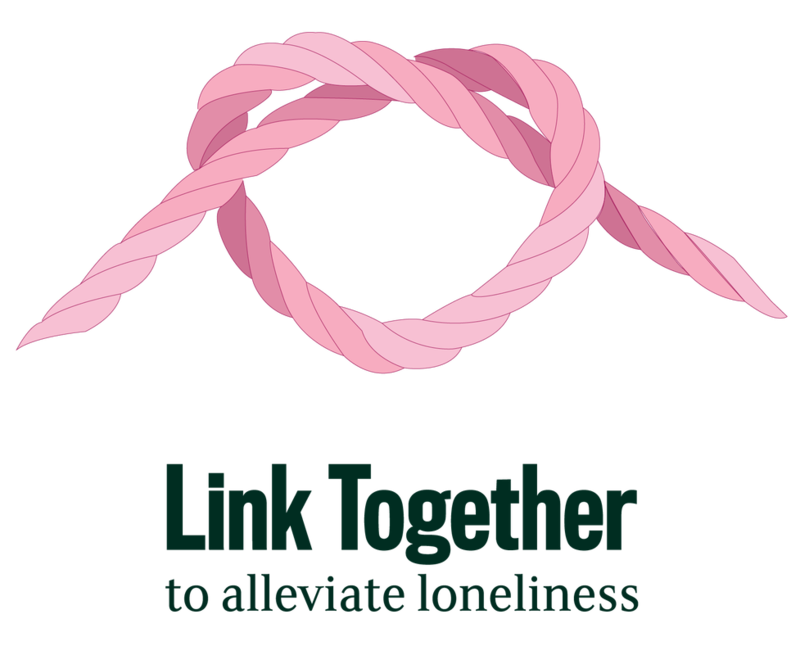 ​Our Link Together campaign seeks to inspire WI members to take action within their Institutes and federations and raise the profile of the issue with local health services. Download the Link Together Campaign Action Pack here or contact the Public Affairs Department at pa@nfwi.org.uk to request a paper copy. This year, the Great Get Together will be taking place between 21st and 23rd June. To help you organise your event or activity, the NFWI has teamed up with the Jo Cox Foundation to develop a digital toolkit. To sign up to receive it, click here. Did you know that under the NFWI’s Violence against Women & Girls mandate, members can work on the issue of Female Genital Mutilation? Find out here how a London WI has taken action and let us know at sciencesociety42@gmail.com if your WI is also working to tackle FGM. Can your WI help a local Women's Refuge? As part of the WI ongoing campaign on Violence Against Women what about organising collections for your local Women's Aid Refuge centre? Members can donate items at WI meetings, someone can take charge of collecting it and taking it to their local refuge a couple of times a year. Let’s go further and faster to protect our planet. Join us in Westminster on 26 June from 1pm to 4.30pm to speak to your MP about protecting the climate and environment. Register your interest here. Organised by the Climate Coalition, the mass lobby outside parliament is part of Speak Up Week. It aims to highlight the breadth of people who care about leaving a legacy that we can be proud of for future generations. We are the last generation that can realistically limit warming to climate-safe levels. The onus is on our MPs to take a lead in ensuring the UK remains at the front of global efforts to reduce emissions and pollution. Politicians will only increase their ambition if they see that we care. They will act if their constituents tell them they want change. We will be joined by a coalition of organisations that represent millions of people across the UK. From surfers to scientists, bird watchers to doctors, everyone has a stake in the state of our environment. To get involved or if you would like to join us please register your interest here.